Account Statement – Current customers click the “Account Statement" button to access your account statement. You will need your loan number along with your Social Security number or Tax ID to retrieve your loan information. Payoff statements are not available online! 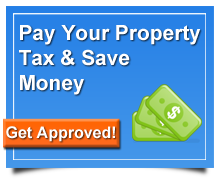 Please email us at loans@propertytaxfunding.com to request a payoff statement. Need to update your contact Information? Please email us at loans@propertytaxfunding.com or call 877-776-7391 to make any changes to your contact information. Need Help With Your New Taxes?